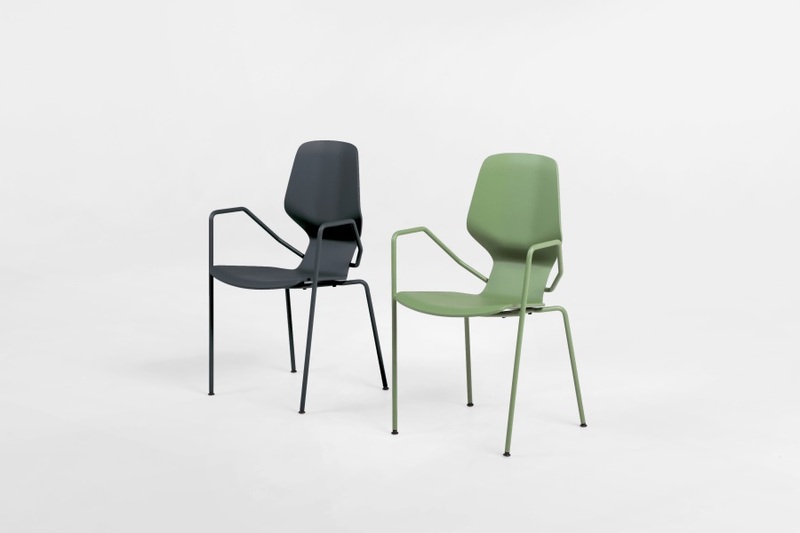 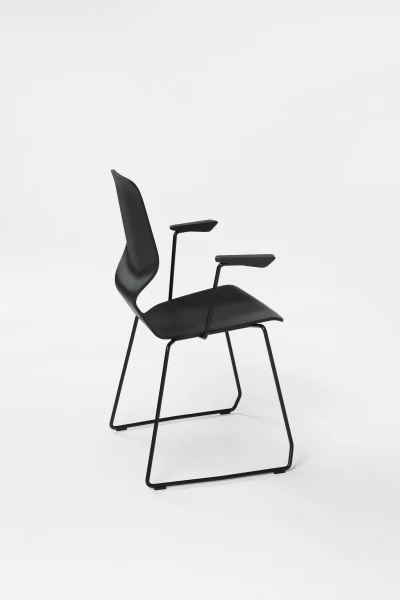 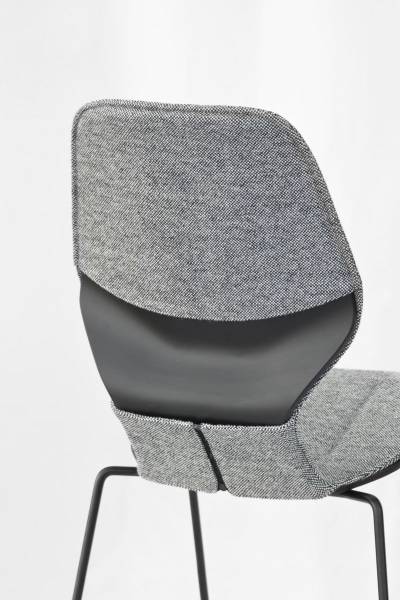 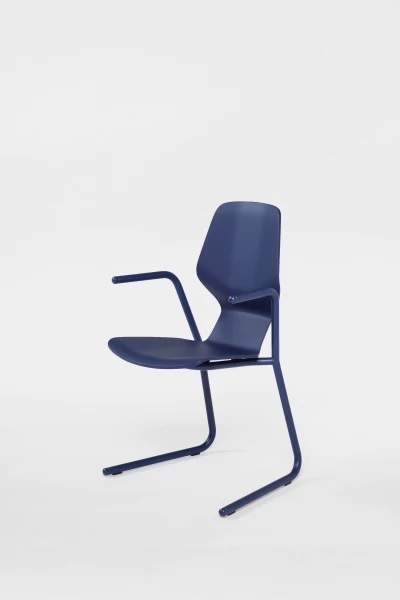 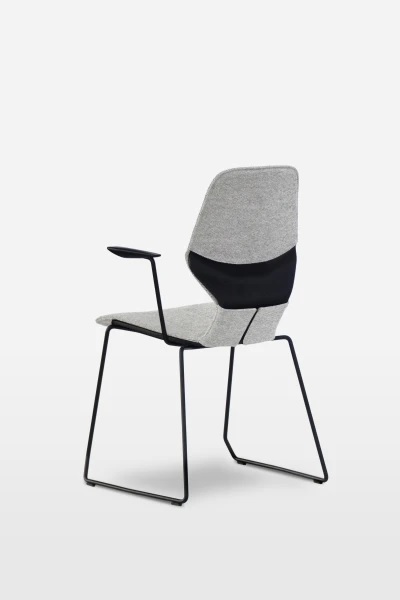 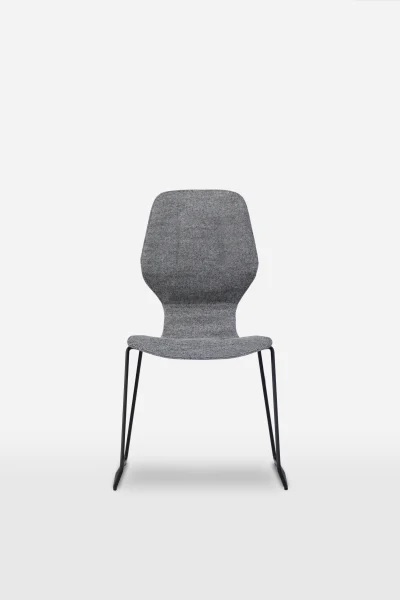 This derivation of the Oblique family, regardless to the difference in technology and typology from its upholstered siblings, retains the characteristic S shaped profile of the chair. 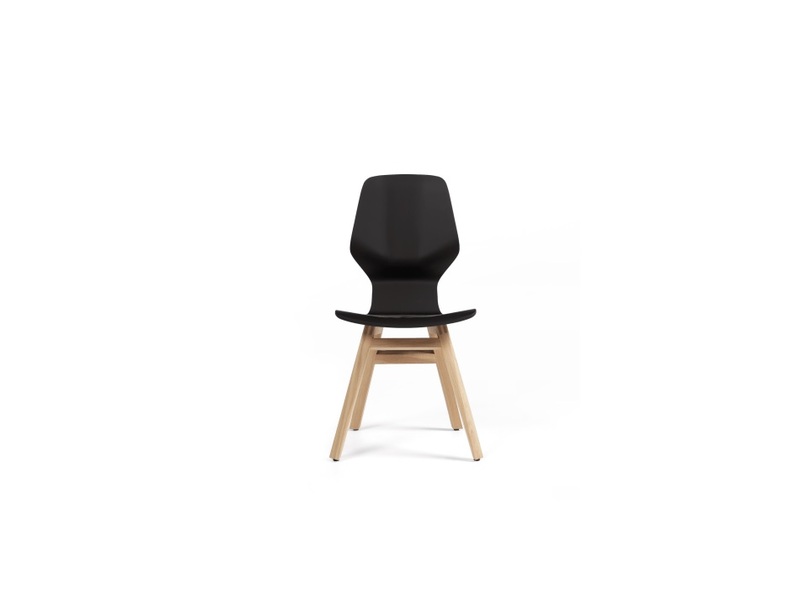 Strong curvature of the shell provides good ergonomics which is further highlighted by the elasticity obtained from this geometry. 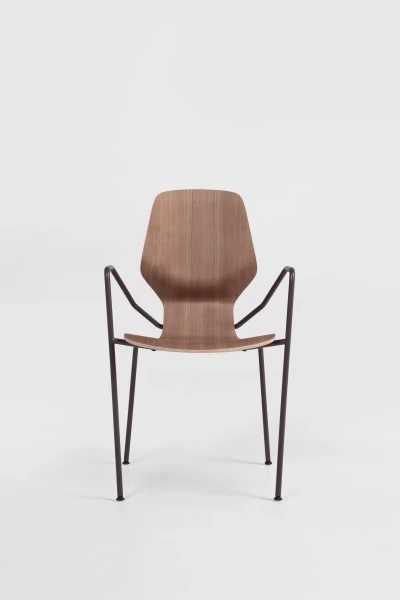 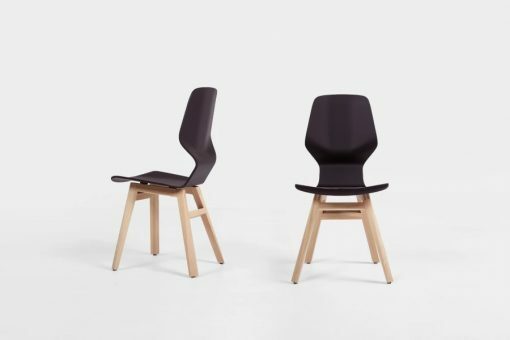 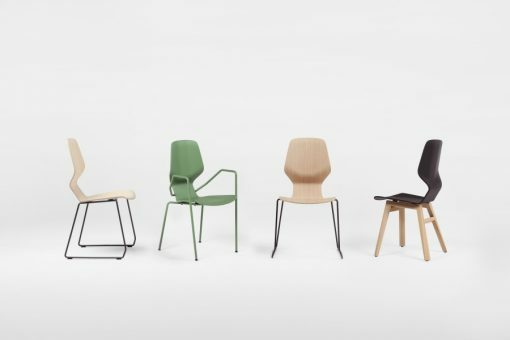 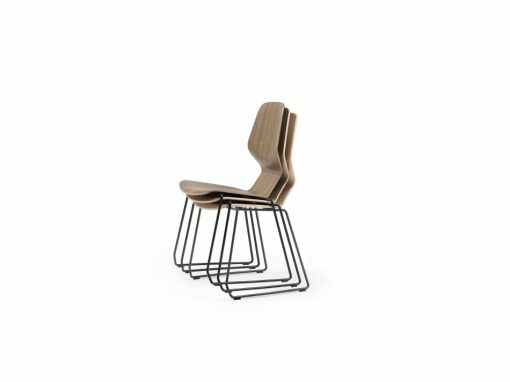 The shell is made of 2D molded plywood, combined with 6 versions of steel legs of which 4 are stackable, and one solid wood base.